I’m obsessed with Netflix, especially after binge watching a few TV series over the summer. I’ve been a fan of Orange is the New Black, but didn’t start watching until after the first season had ended. It made me curious about other Netflix original series. One series I’d heard so much about is House of Cards. I usually like political dramas, so I thought this wouldn’t disappoint me. Not only did it NOT disappoint, but it was beyond what I imagined. HoC really goes THERE. Much like OITNB, it’s a no holds barred show, and nothing like what I see on network TV. 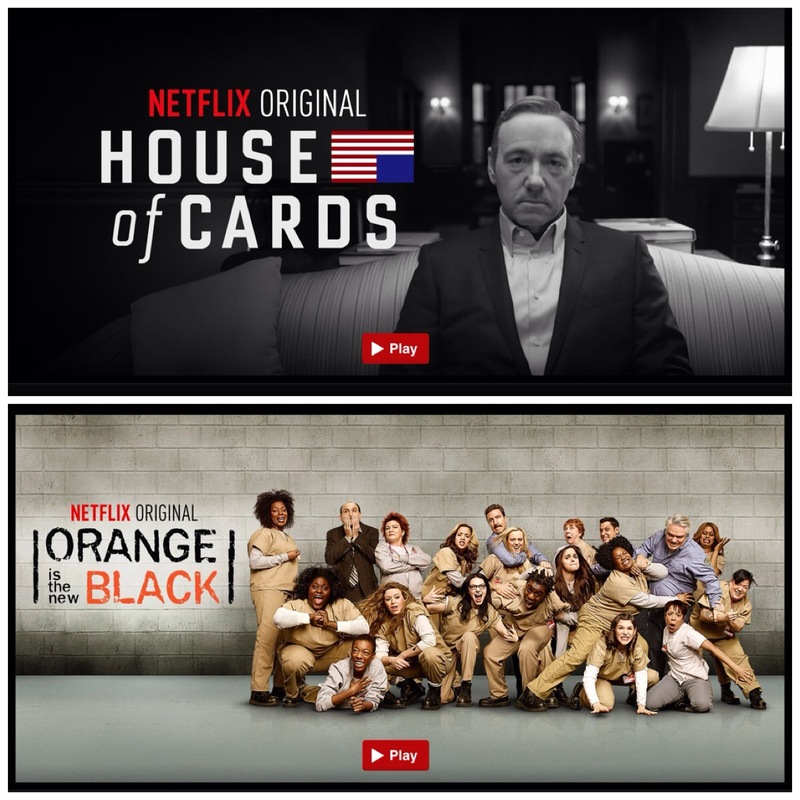 Netflix has certainly evolved since starting out as a DVD home delivery company, to adding streaming to the plan, and now offering a selection of amazing original series with more on the way. The current lineup includes Arrested Development, Bad Samaritans, BoJack Horseman, Hemlock Grove, House of Cards, Lilyhammer, Orange is the New Black, and Turbo FAST. As if this wasn’t good enough, Netflix has a number of new quality series lined up. Love, a Judd Apatow series is coming to Netflix, as well as the sci-fi series Sense8 from the Wachowski siblings. PLUS Marvel has a few superhero shows heading to Netflix, featuring Daredevil, Iron Fist, Jessica Jones, and Luke Cage, there’s the Pablo Escobar drug drama Narcos, and I’m also looking forward to the adventure epic Marco Polo! Movies and TV hits used to be the big draw to Netflix, but now that they will have a small arsenal of amazing original series, viewers might not use too many other apps for entertainment. Summer is here, but regular season TV shows are on hiatus. This time a decade ago used to be inundated with repeats, but now reality shows have flooded the airwaves. Looking for more substantial content to balance the guilty pleasure of watching a Real Housewives or Big Brother episode? Stream some shows you haven’t watched over the regular season. Three summers ago I finally caught up with Mad Men via Netflix. Early last fall I stumbled on Orange is the New Black, and this summer I’m hooked on Once Upon a Time. I also found Suits and Covert Affairs on Amazon. I binge watch shows for instant gratification and to discover programming I normally don’t have time to watch. Summer is a great time to discover new shows online. You can watch every episode, having marathons with friends, making a party out of it, or viewing alone during free time. Orange is the New Black recently released all 13 episodes of season two at once, understanding the trend to binge watch. I’ve heard so much about House of Cards that I think I’ll give it a chance this summer. Like Orange, HoC is a Netflix original show. Streaming sites have followed the lead of cable stations by producing more gripping content than some of the networks. Amazon also produces original content for their Prime Instant Video customers. Beware! Idle binge watching could easily make you a coach potato. While I do sit down and relax during a portion of my marathons, I also try to working out, cook, etc. to keep active and make tasks more enjoyable. What are some of your favorite shows to binge watch? The Northeast (and other parts of the country) keeps getting hit by snow and frigid temps this winter. Kids are home from school either because of a snow day or the flu. If it’s a snow day, the kids can entertain themselves for a while sledding, making snowmen, building fortresses, and having snowball fights. But when they get too cold or if they’re sick, they’ll be looking for something to do. There are some options, but one of the easiest is to watch a movie. In these days of streaming video, Netflix has the biggest selection, along with a cool profile feature that allows everyone in the family to choose their favorite movies and TV shows. I even created one for my mother for when she visits during holidays. We have an Apple TV, Blu Ray player, Wii console, iPads, and smart phones to view movies at home or on the go. We usually have a movie night every Friday, but on those days when one of my kids are sick or they’re home on a snow day, they can select something to watch from their own profile and not disturb anyone. My family loves Daddy Day Care and Hoodwinked. My daughter is a fan of the Beverly Hills Chihuahua movies. 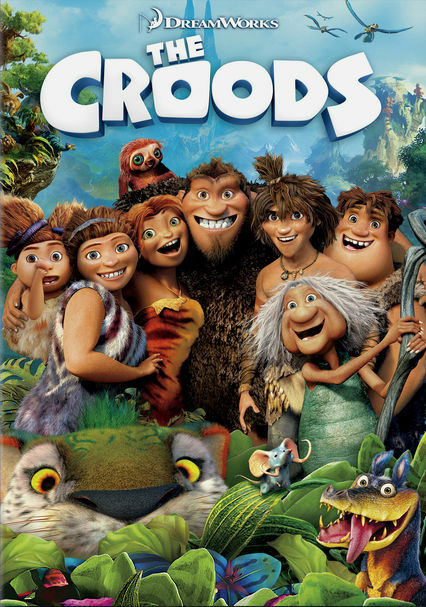 But we’re all waiting for the 29th when The Croods will become available for viewing! There’s nothing like laughter to make you feel better (and chicken soup). All of the following technologies have been around, but I predict they’ll become extremely popular this year. They’re in no particular order. 1. 3D TVs – With all the digital 3D movies coming out in the theaters, interest has piqued for the same quality at home. The problem is, you can’t just play a DVD and watch the movie in 3D on your television with Real D 3D glasses from the theaters. You need to connect an emitter to your television, install the provided software in a PC, connect the PC to your TV with an HDMI cable, and wear 3D shutter glasses. This is fine for geeks and early adopters, but not for everyone. The set up is explained in the video below. Since it’s not as user friendly for the average viewer, the masses haven’t flocked to this yet. 3d ready blu-ray players are becoming available, which will avoid that cumbersome set-up, so you should see an increased demand for these products. 2. Media Streaming on HDTV – On demand programming from Netfix, YouTube, Pandora, and Blockbuster are becoming the rage. Use a blu-ray player, Microsoft Xbox 360, Sony Playstation 3, Tivo HD DVR, or select HDTVs to view streaming video or listen to internet radio around the clock via wi-fi. 3. Green Tech – Whether they be laptops, cell phone chargers, or external hard drives, more tech products are being made with the environment in mind. Some are eco-friendly by saving energy, streamlining packing, eliminating toxins used to in production, and/or using recyclable materials. 4. Cloud Computing – Microsoft , Cisco and IBM are big names in cloud computing for business users. However, Google caters to the consumer market with Docs, Gmail, Blogger, Picasa, Wave, and Buzz. Social media is giving this arena a major boost! 5. Mobile Apps – These exploded when the iTunes app store opened. There has been an unbelievable growth in the number of apps available since then, especially with those based on location. I remember Loopt being one of the first social media location based apps being promoted for the iPhone. Later Brightkite, Gowalla and FourSquare were released. Now RunKeeper has a new live tracking service allowing family and friends to track your run on-line. There will be more trends this year, so I’m hoping you’ll chime in and share your thoughts. What do you predict some of the tech trends for 2010 will be? Watch Streaming Video on Your TV! For those without a DVR, the ability to watch ’30 Rock’, ‘The Office’, or ‘House’ on demand via Hulu is amazing. You can even watch movies like ‘Jewel of the Nile’ or ‘Lock, Stock and Smoking Barrel’. If you have a Netflix account, and you’re looking for a better selection of movies, you can select Watch Instantly to stream select features. The only problem is you have to watch them on a computer monitor, and if you only have a 13″ screen laptop, it will not be as rewarding as watching it on your television. The solution is to hook up your laptop or Mac Mini to your TV, or buy a Vudu, Roku or Apple TV set top box. Check out my previous blog post on connecting your Mac/PC to your TV if you opt for the laptop/Mac Mini connection. If you have a home theater, and/or want a permanent set up, then a set-top box might be right for you. VUDU was the first device to come out that would enable you to rent or purchase a movie and stream it to your television. It offers 13,000 movie and TV titles on demand from Hollywood studios and independent distributors, including a large HD collection. The standard box gives you 250 GB of space ($149). The XL model, designed for high end home theaters and available only through an authorized installer, has 1 TB of storage, which translates to about 500 titles ($499). Bonus – You can connect to Pandora Radio, Picasa, YouTube and Flickr. ROKU gives you have over 50,000 videos at your fingertips. This selection includes 12,000 movies and TV shows from Netflix, and 40,000 titles from Amazon Video on Demand. It has built-in wi-fi, and can be used wired or wireless. APPLE TV teams up with iTunes to extend movies and TV shows in standard definition and HD. It comes in 40 GB and 160 GB versions ($229/$329). It can access all compatible content off your iTunes account (movies, TV shows, photos, music, podcasts, etc. ), and even stream content from up to five computers. It is partnered with Flickr, YouTube, and Mobile Me (.Mac) to add more viewing capabilities to your box. Warning, this does NOT work with older, non-widescreen TVs. BOXEE is the baby of the bunch, and it doesn’t have hardware (yet). You simply download the freeware, and use it on your desktop or even better, on your laptop. The latter is portable and can be connected to a larger screen. It’s an alpha version, and available for Mac and Linux users. The last group of Windows testers were invited in February 2009, so you probably have to wait for the beta version. Boxee brings a lot to the table. It’s a media center that assembles all your entertainment together. Your movies, TV shows, music and photos on your hard drive are added to the mix of several online channels (too many to mention them all). The highlights of Boxee are Hulu feeds, Joost, Netflix (Macs only), CNN, G4, NBA, Discovery, CNET TV, Pandora, Last FM, Shoutcast, YouTube, Picasa, and Flickr. You can even send updates to Twitter, FriendFeed and Tumblr (set-up via the website)! DYNAMIC DUO – Here’s were the fun begins! For those Mac users with an Apple TV and are a bit technically inclined, there is a hack that will get Boxee (and XBMC) onto your ATV. Follow the first video (link below) to build a USB patchstick (not all brands and models work, so check the Boxee announcements forum for the list), and the fourth video to install it to your Apple TV. This gives you the ability to watch whatever is in you iTunes collection, PLUS all the streaming video content available through Boxee on a larger screen. Score! View this video to connect your Mac to a TV. View this video to connect your PC to a TV. Watch the above video for detailed visuals. We have looked at iPhone third party apps that allow streaming video. Now let’s look at other sources. The first way is extremely easy. It just requires Apple’s very own built-in iTunes app. There’s absolutely nothing to download. Just open the application, select Podcasts from the bottom bar, and look for content to watch. If you already have a favorite podcast, below you can choose Search, and type in your desired podcast. The second way is also super easy. Another built-in app to the rescue. YouTube enables you to watch TV shows in several parts, due to the maximum length of video that may be uploaded (10 minutes). There are mostly kid or teen full episodes available in several parts. Adults will find mostly clips of their preferred shows. The third way is easy, with just a little work involved. CBS has content on the app TV.com, but until Hulu’s app has been developed and approved, I have the next best thing to share with you. ABC.com and NBC.com automatically detects that you are using an iPhone or iPod Touch when you visit them via Safari, and direct you to their mobile sites. These sites scale everything down for your device for easier reading. If you tap on Video, it takes you to their TV shows. m.NBC offers full episodes of their top sitcoms and dramas, while ABC.go.com/iPhone extends more clips to viewers.. You can easily bookmark these two for quick access, but a faster approach is to add an icon to the home screen. To do this, once you’re on the site at the video page, select the plus sign on the bar at the bottom. A menu will pop up, and you should pick Add to Home Screen. The icon is shown with the name, which may be modified (I delete the .com). Tap on the Add button on the top right, and it will add the icon to the next availble spot on your screen as a shortcut to the site. This can also be done with cwtv.com . Happy streaming!